Conventional airspray guns have remained unchanged in basic design for many years. They are the most widely used spray gun and are low in capital cost compared to other spray systems. However, they are wasteful on materials(poor transfer efficiency). Dependant on how much material is being used, the wasted material usually outweighs the savings in capital cost. More efficient guns have been available, but only ‘end-users’ with higher production rates trying to cut wastage have taken these options. New regulations brought in for environmental protection reasons have forced mant ‘end-users’ to change their equipment to the new generation of compliant guns. ‘Compliant’ is the term used to describe the latest generation of air spray guns. ‘Compliant’ airspray guns are recognised as being the most transfer efficient airspray gun. HVLP spray guns were developed by manufacturers in an effort to increase ‘transfer efficiency’ and are the next generation following conventional spray guns. HVLP spray guns are precise in definition. To qualify as HVLP, spray guns must use less than 10psi atomising at the aircap during operation. Because of the low atomising pressure, HVLP guns are only suitable for low viscosity materials. Many installations using HVLP spray guns have found operators exceeding the 10psi threshold. This has been shown to reduce ‘transfer efficiency’ and proved expensive in air volume consumption. However, HVLP has been superseded by the latest development in airspray technology. (See compliant airspray). LVLP spray guns developed following HVLP and were produced by manufacturers in an effort to increase ‘transfer efficiency’. HVLP spray guns must use less than 10psi at the aircap during operation but it was claimed by manufacturers of LVLP spray guns that operators could exceed the 10psi threshold and still remain within the regulation requirements. However, LVLP has been superseded by the latest development in airspray technology. (see ‘compliant airspray). 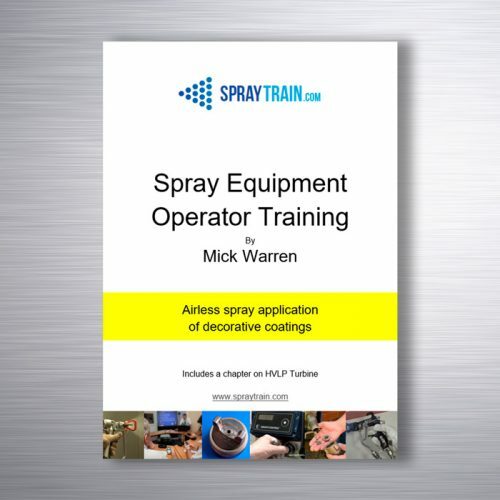 Following the sequence of spray gun development – from ‘conventional’ – ‘HVLP’ – “LVLP’ -and finally ‘compliant’ being the most transfer efficient airspray gun. 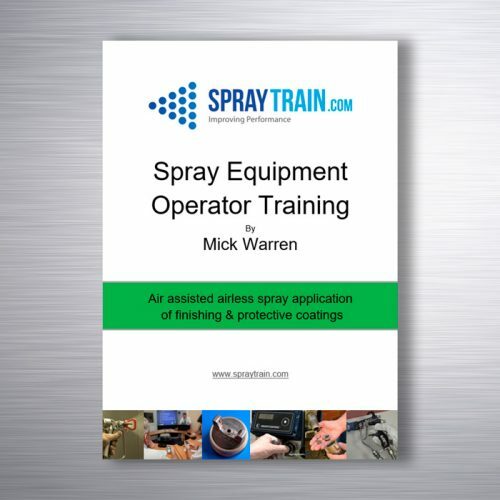 Compliant airspray guns are now available from various manufacturers. However, all spray equipment needs to be operated correctly to achieve maximum transfer efficiency. Investing in the right equipment for the application is important but operator training needs must be considered in order to get the best out of the equipment. An airless spray system uses no air at the spray tip or point of atomisation. The airless spray system forces paint at high pressure though the spray tip to create particle break-up or atomisation. This “high energy” atomisation can apply high viscosity coatings and provide heavy film builds at high production rates. This is especially good for protective, decorative and intumescent applications. The ability to apply coatings without thinning also reduces solvent emissions. An air assisted airless spray system uses airless principals to partially atomise the material to be sprayed. nAdded atomising air is applied at the tip to complete the atomisation. Air assisted airless has many advantages such as high transfer efficiency, good penetration of recesses and detail and ability to apply higher solids material. Air assisted airless is favoured by wood finishers for application of sanding sealers and metal finishers requiring high build and high quality finish. Electrostatic spray guns have been in use for many years. The Electrostatic spray process electrically charges the atomised particles in order to increase transfer efficiency and create “wrap”. Solvent based and water based coatings are capable of being applied electrostatically although the equipment is different for these two types of coatings. Although more expensive in capital outlay, material savings have proved cost effective and a fast return on investment for large material users. Equipment is available in many atomising formats – Airspray electrostatic, Airless electrostatic, Air assisted airless electrostatic as well as automatic applicators for reciprocators and robots. Plural component systems have been available for some time. The principal advantage of only “mixing what you spray” and “only spraying what you mix” has been saving material and application costs for in house and on site contractors for many years. The systems available are many and can be categorised in many different ways.